The Husky Presidential Ambassadors Leadership Institute is a unique opportunity for a cohort of current University of Washington students and a cohort of incoming first-year international students from China to participate together in a cross-cultural leadership development immersion experience. Globalization has created a need for leaders with greater understanding of cultural differences and increased competencies in cross-cultural communication and practice. Leadership Institute participants will gain valuable skills in intercultural communication, explore cultural perspectives of leadership and study leadership practices in a global setting. The Husky Presidential Ambassadors Leadership Institute is an innovative education model that cultivates young global leaders who think beyond boundaries. After meeting in China over the summer, new friends reunite on campus in the fall. 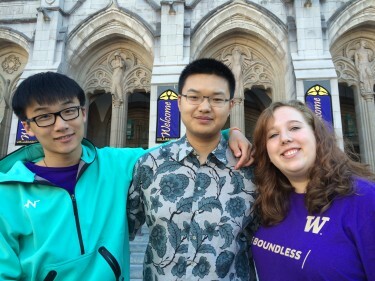 Current UW students spend one week in academic preparation in Seattle before traveling to China for two weeks. During their first week in China, they visit historical sites and gain exposure to Chinese cultural surroundings. For the second week, they are joined by a cohort of incoming first-year students from China and a group of rising seniors from Tsinghua University. Together, they participate in an experiential leadership development curriculum. While in China, participants live and study at the prestigious Tsinghua University, an important international partner of the University of Washington. Participants connect leadership theory to practice by meeting with local and national government officials, business leaders and community change agents. They also accelerate their personal leadership development by engaging in skill-building and self-reflection. In the fall, UW participants will continue this leadership education opportunity through a credit-bearing seminar on campus. The Ambassadors are UW undergraduates selected for their outstanding campus engagement and diversity of background and experience. They will engage in the Husky Presidential Ambassadors Leadership Institute with incoming UW first-year students from China and rising seniors from Tsinghua University. Francesca believes that leadership is about working with others to create positive change and is something that grows out of experience, practice and reflection. She oversees the programming and strategic direction of the Husky Leadership Initiative. Fran’s prior work in higher education service-learning and student affairs and in community-based youth leadership programs have fueled her passion for facilitating college students’ learning and development in their journeys to become effective, caring and socially just citizens in their communities. She holds a Doctor of Education from the UW College of Education, a Master of Arts from the UW School of Marine Affairs, and a Bachelor of Science from Brown University. Born and raised in Beijing, Liping is passionate about introducing American students to Chinese language and culture. She has extensive experience teaching Chinese language and culture and has led several study abroad trips to China. 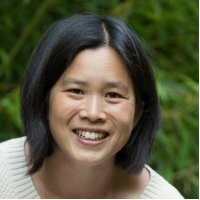 At the University of Washington, she teaches Chinese to both heritage and non-heritage speakers. 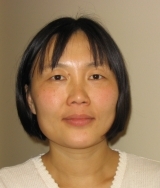 Before coming to the UW, she taught Chinese language at Princeton University and Louisiana State University as well as English language at People’s University in Beijing. She holds an M.A. from Lousiana State University, an M.A from Tsinghua University, and a B.A. from Beijing Normal College of Foreign Languages, and has co-authored several books. See what students wrote about their experiences in the leadership institute. UW students can choose from study, research, service and internship opportunities in 55+ countries worldwide.